I have a story in my head, only in my head at present, about the Radwinter family; out and about in Portishead I came across this lovely property. 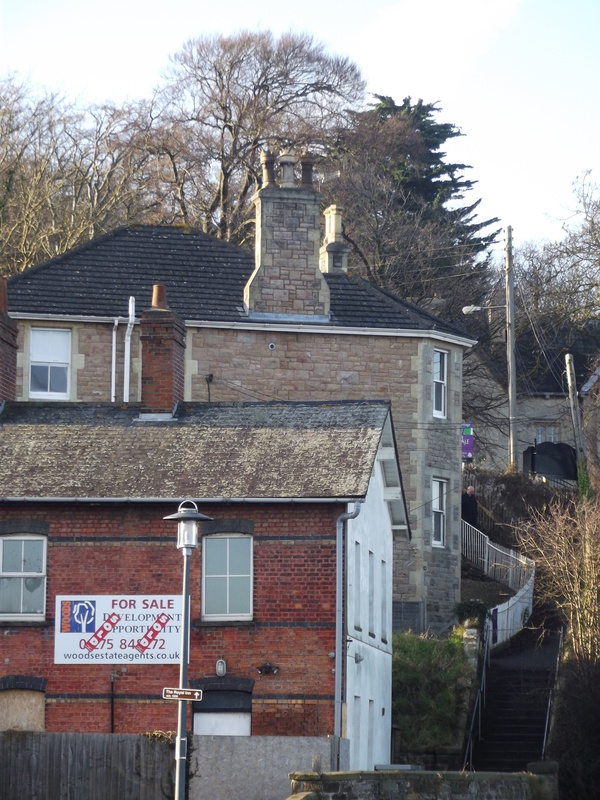 I think it has been converted into flats, and one of them is for sale, but originally it was the Dockmaster’s House. 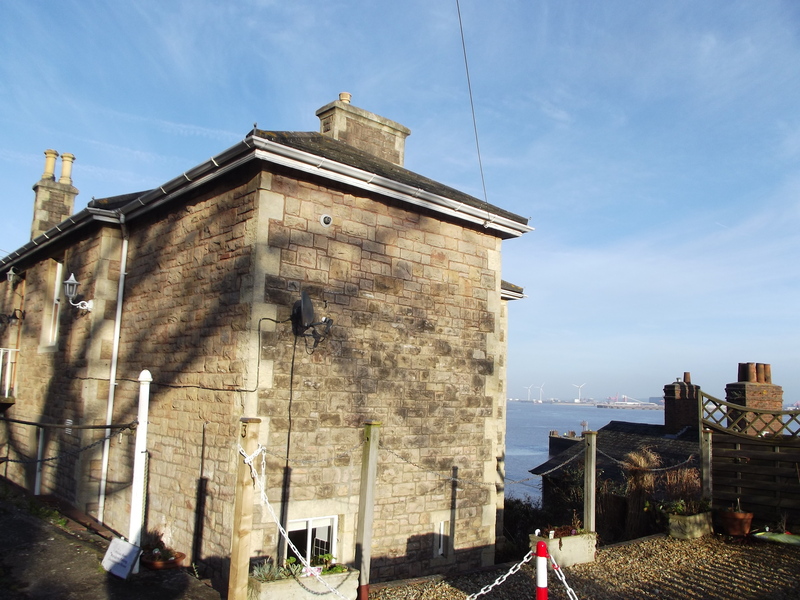 It has the most wonderful views up the Severn estuary and across to Wales From here the dock master could watch the river traffic heading out to sea. No doubt he had tide tables, telescopes and shipping schedules with him all the time so he could check what was coming and going even when he wasn’t working. 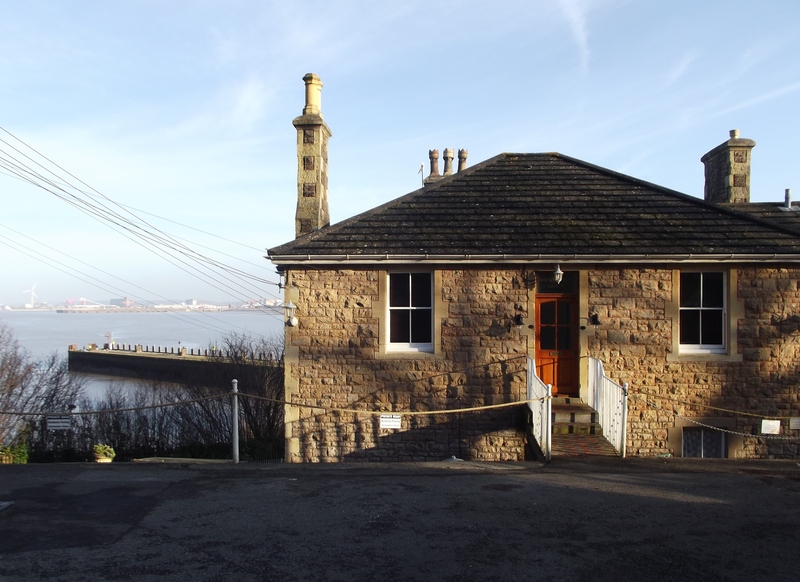 In my story this house would be transported to Strand, the main city in the area; the docks would long since have become redundant, like Portishead, and the are redeveloped with the warehouse converted into swish apartments, and new houses and apartment erected on the old goods and cargo yards. Maybe the Radwinters’ parents lived her, maybe a distant relation had been the dock master many years ago, generations ago before they were even born. Maybe there is a dispute over an inheritance, maybe the property is more valuable as a piece or real estate and someone wants to sell it… or a rival wishes to buy it. Maybe the house contains secrets, maybe there was an unexplained death, a mysterious suicide, an unexplained disappearance? Who knows? I don’t know yet, because whatever I plan to write, sure as eggs is eggs, the story will unravel differently, new characters will appear, dominant people will fade, and I will be as interested as my readers to find the answers to what happened! The front entrance looks modest enough, but the house is built on a hillside, and inside there are several flights of stairs leading down to the other floors, and the kitchen and yard at the back which is at the bottom.